Since a young age, Thomas Meluch (aka Benoît Pioulard) has been fascinated by natural sounds and the textures of decay. He played piano before his feet could reach the pedals and for more than a decade has sought to create a unique sonic environment influenced by pop song structures and the unpredictability of field recordings. An avid collector of instruments and analog devices, Meluch relies on guitar and voice as the bases for his body of work, which now includes five full-lengths for the beloved Kranky label (including 2015’s “Sonnet”) as well as collaborations with Rafael Anton Irisarri (aka The Sight Below) and Kyle Bobby Dunn. American artist and composer Seth Cluett explores everyday actions at extreme magnification, examines minutae by amplifying impossible tasks, and explores the working of memory in forms that rethink the role of the senses in an increasingly technologized society. Creating work ranging from photography and drawing to installation, concert music, and critical writing, his “subtle…seductive, immersive” (Artforum) sound work has been characterized as “rigorously focused and full of detail” (e/i) and “dramatic, powerful, and at one with nature” (The Wire). 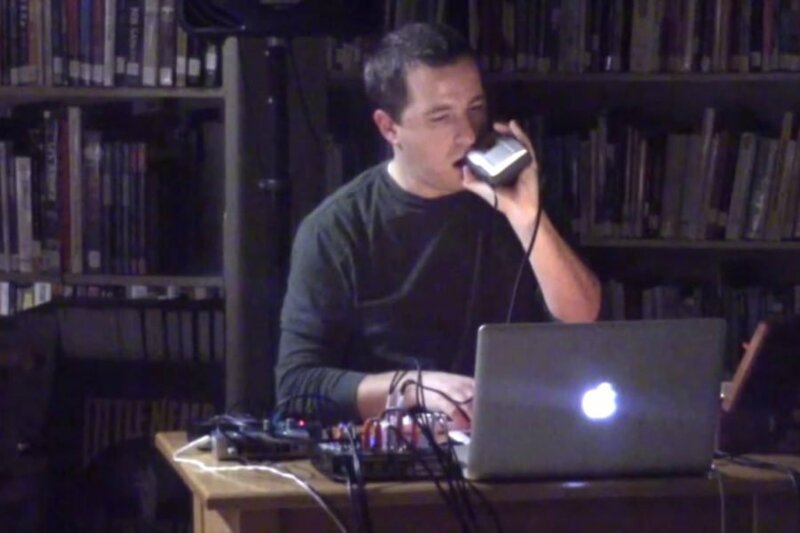 The recipient of grants from Foundation for Contemporary Arts Emergency Fund and Meet the Composer, his work has been presented internationally at venues such as The Whitney Museum, MoMA/PS1, Cafe Oto, GRM, and STEIM and is documented on Line, Sedimental, Notice, and Winds Measure recordings.